The mosquito-borne Zika Virus continues to spread across Central and South America, as well as Mexico. The biggest risk is to pregnant women, because the virus is believed to cause birth defects. But for those who aren’t pregnant or trying to get pregnant, it can still cause a mild illness with fever, rash, joint pain, and conjunctivitis. So if you’re traveling to a Zika zone, you’ll want to take steps to protect yourself from the virus. Here are some things you can pack to help prevent bug bites and, therefore, the Zika virus. Invest in some insect-repellent clothing that's also travel-friendly. Ex-Officio's Bugsaway line has pants, shorts, dresses and sweatshirts for men and women that are all treated with insect-shield technology to repel mosquitoes and other bugs. Plus, the travel-friendly fabrics are lightweight, wrinkle-resistant, and quick drying. Another option is White Sierra's Bug Free line, which lives up to its name with clothes that offer protection from insects (and the sun—thanks to a UPF fabric shield) for 70 washes. If you don't want to invest in a whole new wardrobe of insect-repellent clothing, treat what you already have with permethrin spray, a bug-repellent designed to be used on clothing and shoes (not skin!) that lasts through multiple washings. 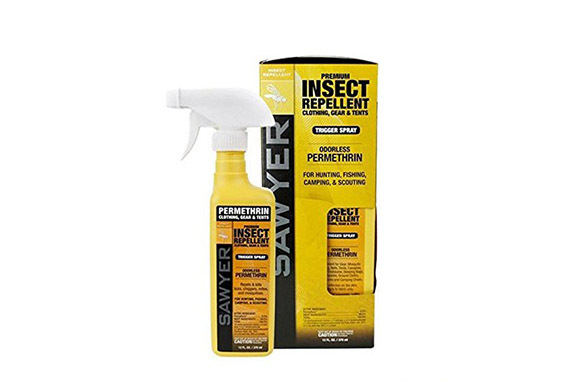 This spray from Sawyer Products is effective against mosquitoes, ticks, mites, and other bugs for six washings or six weeks, and it's as effective as 100 percent DEET. It's odorless after drying and won't stain or damage your clothing, so you can still wear them again after your trip. The more covered your skin is, the harder it is for mosquitos to feast on you. Of course, it's likely to warm where the bugs are, which makes wearing long shirts and pants unappealing. Pack lightweight, light-colored clothing like these travel-friendly long-sleeve shirts, which can actually help you stay cooler than short sleeves thanks to their moisture-wicking properties. 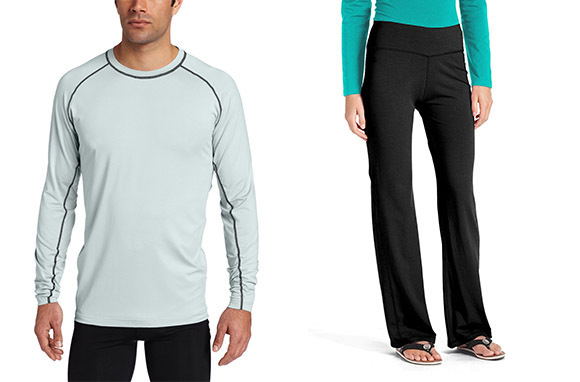 Bonus: Shirts and pants made from UPF fabric will also protect you from harmful UV rays. We like these pants from Coolibar, specifically designed to be worn in hot and sunny environments. The CDC recommends that you "sleep under a mosquito bed net if you are overseas or outside and are not able to protect yourself from mosquito bites." Just because you're staying in a hotel room doesn't mean that mosquitos can't get in—whether it's via a hole in your window screen or just by flying in after you when you enter. This one from Emergency Zone is great for travel, as it just needs a single rope to hang from and folds into a small and lightweight nylon bag. Not all bug sprays are created equally. Only some ingredients are actually scientifically proven to repel bugs. Check to see if your insect spray meets the requirements with this search tool from the EPA. 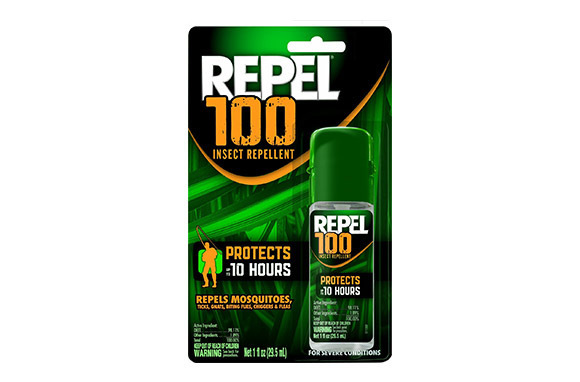 One option is Repel 100, a spray with super concentrated DEET (98.11 percent) for heavy-duty bug conditions. The 1 oz. is perfect for travel and it protects for up to 10 hours, so you don't need a ton. For a more natural solution, look for products containing oil of lemon eucalyptus (which is one of the only non-chemical repellents recommended by the CDC), such as this travel-sized OFF! Botanicals lotion. You might look at the picture of this mosquito head net and scoff, thinking that you'd never be caught dead wearing one, but you might chance your mind if your destination is swarming with bugs. Small and lightweight, the Sea to Summit mosquito head net is made from a fine black mesh (which is easy to see through) and comes with its own small stuff sack for easy packing. If you're flying carry-on only and don't want to worry about fitting your bug sprays in your 3-1-1 bag, insect repellent bands and wipes are a great alternative. For wipes, this 15 pack of Cutter All Family Mosquito Repellent is super affordable and contains DEET, so you'll be protected without spending tons of money. An alternative is the Mosquito Repellent bracelet, which is waterproof, non-toxic, and lasts for up to 200 hours. Caroline Morse loves combining practical fashion and travel. Follow her adventures around the world on Instagram @TravelWithCaroline and on Twitter @CarolineMorse1. The CDC suggests that travelers who are pregnant or plan to become pregnant consider delaying travel to areas where the Zika virus is spreading. All travelers going to affected areas should consult with a doctor before departure, and should take precautions to avoid mosquito bites while traveling.